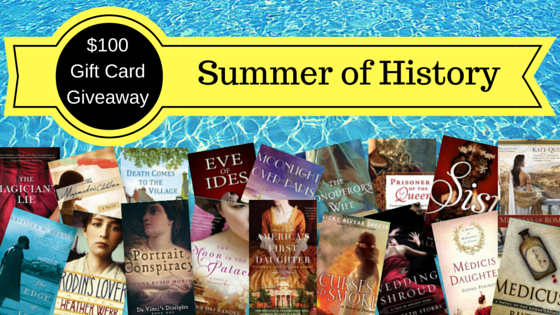 Epic Giveaway Contest: Summer of History! Summer is the time for hanging out on the deck or at the beach, a book in one hand and a cold drink in the other. So what’s better than having a chance at winning one of my books–The Conqueror’s Wife: A Novel of Alexander the Great–this summer? How about a chance to win books and prizes from 18 other top writers of historical fiction today? Best of all, it’s just in time for you to kick back, put your feet up, and enjoy the warm weather with a great book. So, which five books would you like to win? Looks like a wonderful summer and fall of great reading! !